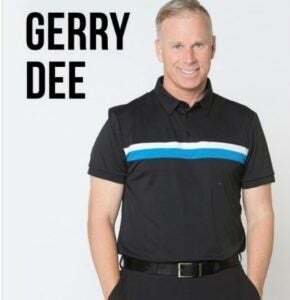 The BC Hockey Hall of Fame is excited to announce that Canadian actor and stand-up comedian Gerry Dee will host the 2019 Induction Dinner and Auction event in Penticton, BC on Friday, July 19th, 2019. Gerry Dee, discovered in the 8th season of “Last Comic Standing”, went on to create and star in CBC’s hit series ‘Mr. D’ and his stand-up routine continues to sell out venues across the country. The evening kicks off at 5:00 pm with a cocktail hour, followed by a deluxe buffet dinner and an assortment of comedy and presentations from inductees and other influential people in the world of hockey. *Please note that Daniel & Henrik Sedin will not be in attendance at this event as they will be back in Sweden with their families for the summer. All other attendees have confirmed that they are planning to attend. **The BC Hockey Hall of Fame is a charitable organization. This event is intended for an adult audience and full ticket costs will apply if you would like to bring children to the event. ***Due to mandatory event operational costs, we are not able to provide ticket refunds at any time. ****If you would like to avoid transaction fees by paying via cheque or cash, please email executive.director@bchhf.com to make arrangements.